My health practitioner put me on Aqua Chrom along with Berberine for blood sugar regulation -- instead of the medication Metformin. Happily I found it at Pure Formulas for a good price and I dont have to drive to the doctors office to get it. I dont feel a differance. But the Dr. says you wont. Aqua Chrom helps with digestion. Maintain a healthy and happy heart with Aqua Chrom™ -0.5 fl. oz (15 ml) from T. E. Neesby. This helps in supporting certain facets of heart health‚ vital for an active lifestyle. This dietary supplement from T. E. Neesby contains chromium- a required nutrient by the body which helps in the movement of glucose from the blood stream into cells for energy production. Studies also show that chromium helps control blood sugar levels. Chromium potentially slows down the loss of calcium and helps in cases of bone loss. 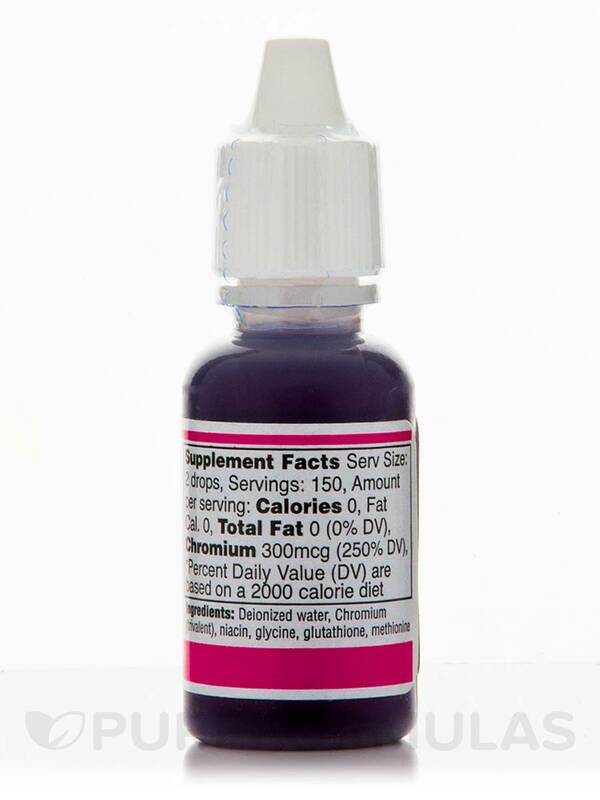 Niacin or Vitamin B3 present in this supplement is important for general well being. It is known to help in keeping the heart healthy. Methionine helps in the processing and elimination of fats from the body. It may also help the liver process fat. Along with glutathione‚ which is rich in antioxidants and may aid detoxification‚ healthy skin and good immunity‚ Aqua Chrom™ -0.5 fl. 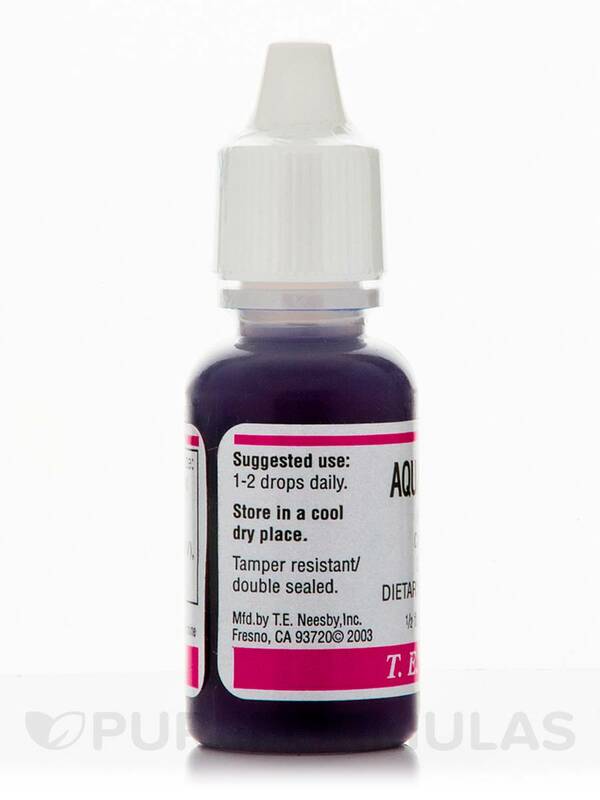 oz (15 ml) from T. E. Neesby is easy to use and its benefits are many. Deionized water‚ chromium (trivalent)‚ niacin‚ glycine‚ glutathione‚ methionine. 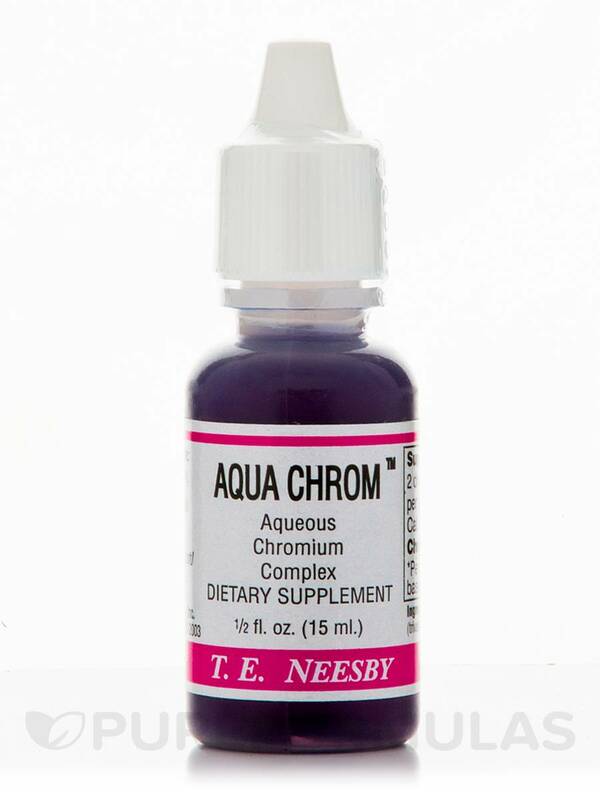 Aqua Chrom by Neesby was recommended by my doctor for hypoglycemia. I've been on it for a month and don't really notice much difference, however they said to give it some time. Doesn't seem to do much for me. I just received Aqua Chrom in the mail. My chromium levels have been 0 in the past really 0! The product Ive been using is no longer available to me and I found Aqua Chrom. Im anxious to give it a try. My doctor suggested I try Aqua Chrom to help lower my bad cholesterol numbers. I like it because it is a natural product and not a prescription medicine which I avoid taking. Havent been taking Aqua Chrom long enough to warrant a blood test to see what it has done but I am hopeful it will make a significant difference. Pureformulas.com has the best price for Aqua Chrom. Slight metallic aftertaste. Chase it with something tastier. Thank you for your question, Sharon. Please add the items to your cart and proceed to 'International Checkout' The system will then let you know if your items are available for export.